Later this month vineyards across Wales will raise the profile – and a glass or two – of wine as they celebrate Welsh Wine Week (May 28th – June 5th). With a growing worldwide reputation for wine producing excellence, Welsh vineyards are flourishing. 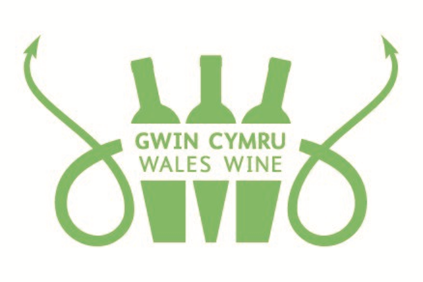 There are 17 vineyards in Wales, of which 13 are members of the Welsh Vineyard Association (WVA) – the newest being Gwinllan Conwy in North Wales. Viniculture in Wales is booming, says Robb Merchant owner of White Castle Vineyard in Abergavenny, and newly installed chairman of the WVA. Robb and his wife Nicola planted their first vines in 2009 and have been amazed at how well the enterprise has taken off. They are looking forward to welcoming visitors to their vineyard for Welsh Wine Week, and like many WVA members will be offering special tours, tastings and offers. 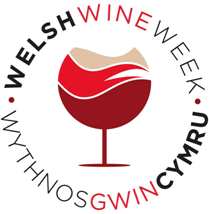 Says Robb, “There are now vineyards right across Wales, from north to south and east to west, many offer tours and tastings during the year and we hope Welsh Wine Week will encourage more people to visit them. “Traditionally Wales may not have been viewed as a wine producing country, but the past 15 years or so has seen huge strides in the quality and quantity – Welsh wine really is among the best in the world. “I’m sure visitors will be surprised by the variety of flavours produced in Wales – there is a flavour for everyone. Welsh wine is enjoying a fruitful time, with a surge in success both at home and on the international scene. A number of wines have successfully competed with their continental counterparts on the global stage, such as Ancre Hill Estates whose 2008 vintage was voted best sparkling wine in the world at the Bollicine del Mondo International Competition in Italy in 2012. Along with increasing critical appreciation and commercial success interest in producing wine in Wales is growing too with a number of new vineyards planted in recent years. The last decade has seen a growth in the number of vineyards in Wales and a surge in production. Welsh vineyards now produce around 100,000 bottles of wine each year, and a number of vineyards are currently expanding in acreage and planting new vines. Among them are Llaethliw near Aberaeron, where owners Richard and Siw Evans have planted an additional 8 ½ acres, and biodynamic producer Ancre Hill has added a further 11 acres. Also after a period of dormancy, Bryn Ceiliog Vineyard at Leckwith in the Vale of Glamorgan will be back in production this year. While Tintern based vineyard, Parva Farm will be supplying Marks and Spencer again this year with its Tintern Parva Bacchus 2014 dry white wine. Wales will further cement its position as a burgeoning wine producing region when it hosts the UK wine industry’s annual national awards – the English & Welsh Wine of the Year Competition. 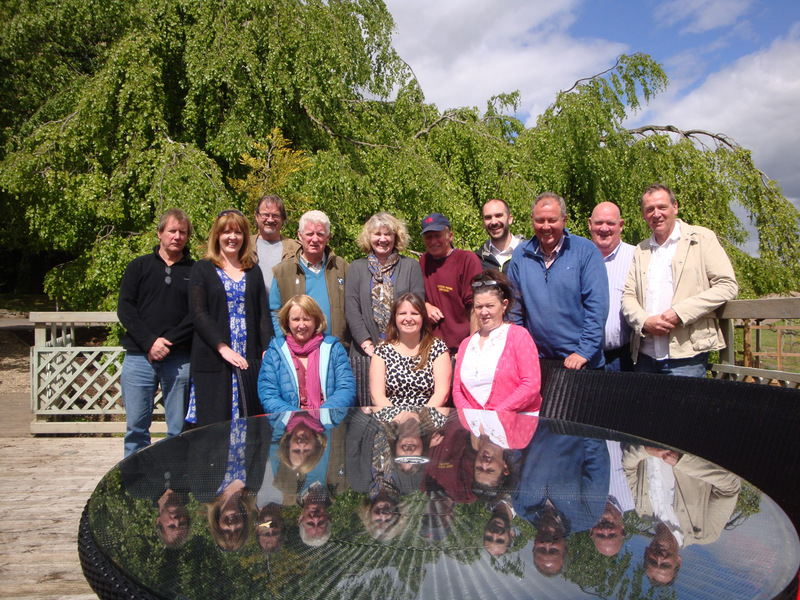 The judging will take place at Llanerch Vineyard next month (June 22 – 24) and it will be the first time the competition has been held in Wales. They can also enjoy a Welsh cheese platter, prepared at White Castle’s newly launched kitchen – which will also be available from Fridays to Sundays and on bank holidays. For those people who are unable to visit the vineyard there is an opportunity in the run-up to Welsh Wine Week to taste White Castle‘s wines at The Crafty Devil Cellar Bar, Llandaff Road in Cardiff on June 1st. Visitors to Llanerch Vineyard at Hensol in the Vale of Glamorgan will be offered free samples of the vineyard’s Cariad still wine. Vineyard tours are available from Tuesday to Saturday starting at 3:30pm, and there are wine tastings at the bar or table at £7.50 per person all day every day. Tintern based Parva Farm Vineyard will be opening its doors for free self-guided tours of the vineyard as well as offering free wine tastings and special offers. Open every day from 10.30am to 4.30pm during Welsh Wine Week, there will be tours of the award winning vineyard (11.30am and 3pm), free wine tastings and offers. Welsh Cheese Platter lunches served with a glass of wine will be available between 12pm and 2pm. While new this year will be the sale of the vineyard’s homemade chutney – with all proceeds to The Gwent Wildlife Trust. Also afternoon cream teas with pink fizz will be available between 2pm and 4.30pm. Gwinllan Conwy will be open for the first time during Welsh Wine Week on the 28th May. The vineyard will be proudly offering its first vintage from the vines that were planted in 2012, and visitors will be able to taste the range of wines from the 2015 vintage in Gwinllan Conwy’s new wine shop and tasting room. Also on offer will be a special package by appointment, which gives a truly unique experience. Grazing boards of ‘Tamaid Cymreig’ – tasty bites – made using local produce have been created to match the wines perfectly, along with a guided tour of the vineyard and an informative discussion on the process of growing vines and making wine. On June 3rd one of Wales’s finest wine shops, Vinomondo of Conwy, will be stocking and featuring the complete range of Gwinllan Conwy wines. Free vineyard tours and wine tasting will be on offer at 2pm each day at Pant Du Vineyard during Welsh Wine Week. Situated in the Aeron Valley, Llaethliw Estate Vineyard will be holding tours during Welsh Wine Week and promoting their wine locally.